Red Hot Chili Peppers, also sometimes shortened to The Chili Peppers or abbreviated as RHCP, are an American funk rock band formed in Los Angeles in 1983. The group's musical style primarily consists of rock with an emphasis on funk, as well as elements from other genres such as punk rock and psychedelic rock. When played live, their music incorporates elements of jam band due to the improvised nature of much of their performances. Currently, the band consists of founding members vocalist Anthony Kiedis and bassist Flea, longtime drummer Chad Smith, and former touring guitarist Josh Klinghoffer. Red Hot Chili Peppers are one of the best-selling bands of all time with over 80 million records sold worldwide, have been nominated for sixteen Grammy Awards, of which they have won six, and are the most successful band in alternative rock radio history, currently holding the records for most number-one singles (13), most cumulative weeks at number one (85) and most top-ten songs (25) on the Billboard Alternative Songs chart. In 2012, they were inducted into the Rock and Roll Hall of Fame. 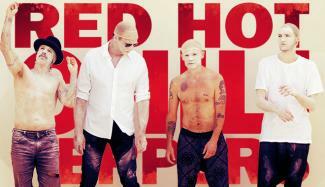 Get your tickets now to see Red Hot Chili Peppers perform live in your city or a city near you.